Teosyal® Pure Sense Redensity II contains a mixture of cross-linked and non-cross-linked hyaluronic acid, which gives it viscoelastic properties. This allows TEOSYAL® Redensity II to flow evenly within the skin of the eye area, restoring thickness to the skin with less chance of over-filling. You also need to apply little pressure to inject the light TEOSYAL® Redensity II gel into the skin, so there is less chance of bruising the delicate eye area. The other ingredients in TEOSYAL® Redensity II are the eight amino acids, Glycine, Lysine, Threonine, Proline, Isoleucine, Leucine, Valine, and Arginine; three antioxidants, Glutathion, N-acetyl-L-cysteine, and Alphalipoic Acid; two minerals, Zinc and Copper; and vitamin B6. These ingredients help restructure and regenerate skin cells, while protecting them from oxidation, helping to improve the skin’s quality. TEOSYAL® Redensity II also contains Lidocaine, an anesthetic that provides patient comfort by numbing the skin. TEOSYAL® Redensity II is designed especially to treat the delicate and difficult eye area. The eye area can be hard to treat as swelling or over-correction causes a puffy look. 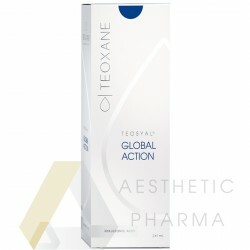 The TEOSYAL® Redensity II hyaluronic acid only binds a little moisture in the skin so it can provide just enough volume for this sensitive area. 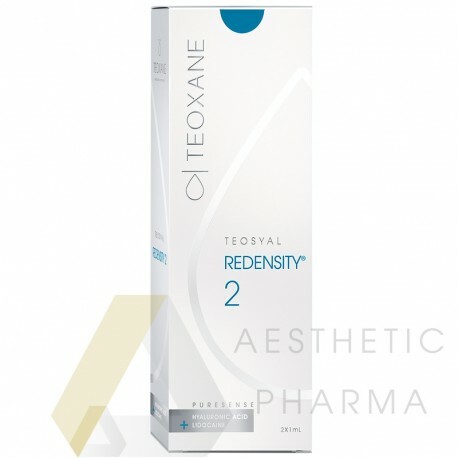 TEOSYAL® Redensity II can benefit patients who have lost volume in their skin through aging or younger patients who have imperfections in their eye area. eye bags or palpebral bags.